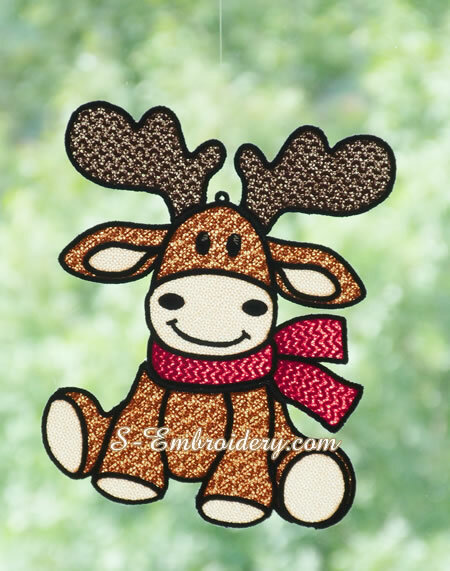 The size of the ready Reindeer ornament will be approximately 7.4 x 9 inches (188 x 228 mm). 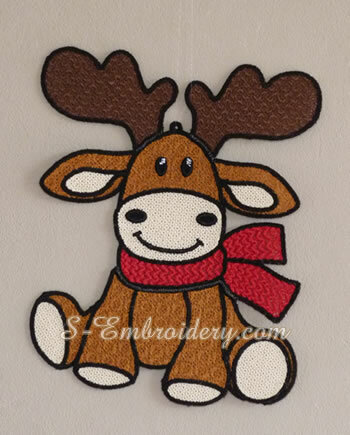 The Reindeer embroidery design is delivered in 3 parts, so that it can be stitched in 5x7 (130x180) hoops. Putting the parts together is simple and straightforward. 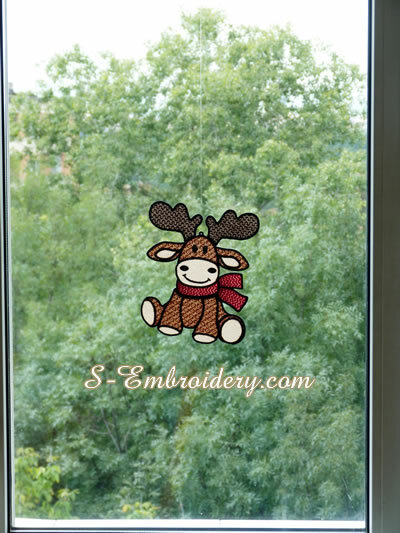 Of course, along with the machine embroidery files you will receive instructions and design information in PDF format.